Pace spearhead Zaheer Khan, who missed the first two matches due to injury, on Thursday, returned to the Indian team for the next three games of the ODI series against New Zealand while the selectors decided to rest batsman Suresh Raina and pacer Sreesanth, ahead of the upcoming South Africa series. Gautam Gambhir has been retained as the captain of the side for the next three matches, BCCI Secretary N Srinivasan said after a meeting of the selection committee in Jaipur. Even though the selectors have called back Zaheer, they have decided to prolong the rest period of four senior players -- regular skipper Mahendra Singh Dhoni, Virender Sehwag, Sachin Tendulkar and Harbhajan Singh, who were not considered for the first two matches due to injury concerns. Zaheer makes his way into the team in place of in-form Sreesanth, who has picked up an impressive seven wickets in the first two ODIs and has been rested ahead of the upcoming South Africa series. Zaheer missed the third Test against New Zealand and the first two ODIs of the five-match series after sustaining a groin injury during the second Test in Hyderabad last month. 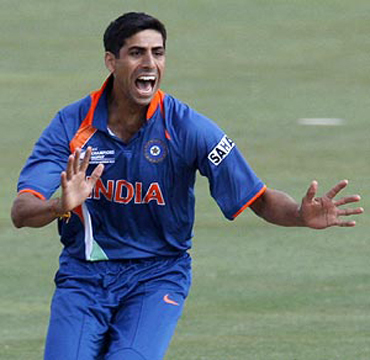 Left-arm pacer Ashish Nehra, who was a late induction in the team for the first two ODIs after Praveen Kumar was down with fever, has also managed to retain his place in the side for the next three matches along with Praveen. However, wicket-keeper Wriddhiman Saha, who retained his place for the Ranji match against Baroda match, will hand the gloves to Parthiv Patel in the last two matches. Mumbai youngster Rohit Sharma, who has been included for the fourth and fifth ODIs, gets another chance to seal his World Cup. 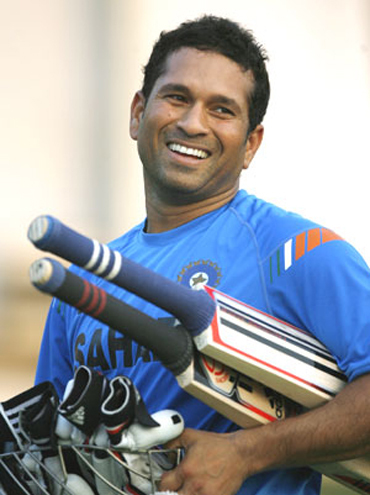 India lead the five match ODI series 2-0 against New Zealand. Indian team for third ODI in Baroda: Gautam Gambhir (captain), Murali Vijay, Virat Kohli, Yuvraj Singh, Saurabh Tiwary, Yusuf Pathan, Wriddhiman Saha (w/k), R Ashwin, Zaheer Khan, Ashish Nehra, Praveen Kumar, Munaf Patel, Ravindra Jadeja, R Vinay Kumar. Indian team for the fourth and fifth ODIs in Bangalore and Chennai: Gautam Gambhir (captain), Murali Vijay, Virat Kohli, Yuvraj Singh, Saurabh Tiwary, Yusuf Pathan, Parthiv Patel (w/k), R Ashwin, Ashish Nehra, Munaf Patel, Zaheer Khan, Praveen Kumar, Ravindra Jadeja, Rohit Sharma.